This is the same woman that had the one hit wonder back in the 80s? Who cares? 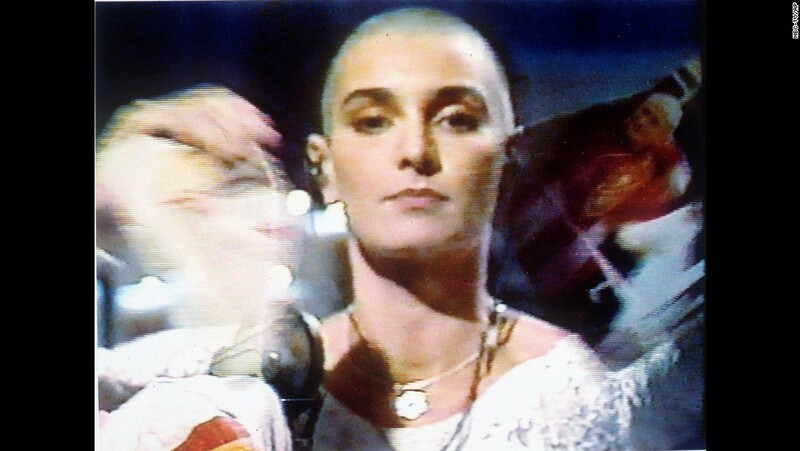 (CNN) Irish singer Sinead O’Connor has announced her conversion to Islam, changing her name to Shuhada’ Davitt. She spells her new name, which means “one who bears witness” in Arabic, with an apostrophe at the end. Shuhada’ comes from the Arabic word Shahada, the Islamic declaration of faith in which Muslims state (or bear witness to) their belief that there is only one God and Mohammed is his final prophet. Sinead O’Connor tears up a photo of Pope John Paul II Oct. 5,1992 during a live appearance in New York on NBC’s Saturday Night Live.